Foot-mounted, close-coupled design in 3/4 through 1-1/2 sizes. 1/4 to 1 HP at 1750 RPM. 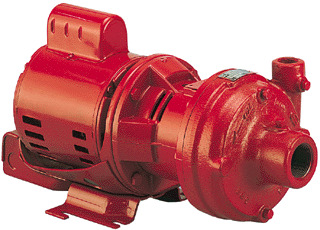 Available in bronze-fitted, all-bronze and all-iron construction with flows to 115 GPM at 30 feet.